Scotland is becoming known for something other than its signature whisky as a number of rum producers fire up production. Nicola Carruthers takes a look at the brands stirring the category. While Scotland is of course well known as a producer of quality whisky, it now seems that another Scottish libation is gathering pace: rum. Scotland is thought to have connections with rum dating back to the 17th century when a sugar boom led to Glasgow’s ‘golden age’ of sugar. Between 1650 and 1750, the city was a hub for rum production. 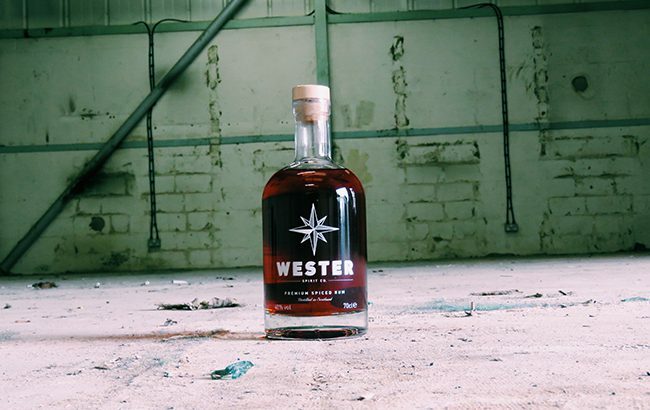 This month has seen the opening of what is thought to be the first rum distillery in Glasgow in 300 years – Wester Spirit Distillery. The site is inspired by the city’s “heritage, reputation and strong connection in distilling rum”. Rum may be more commonly associated with the tropical islands of the Caribbean than the rugged British Isles, but in 2015, rum distillation came to Scotland for what was thought to be the first time since the 18th century. Dark Matter Distillers, based in the Aberdeenshire town of Banchory, created its first product – a spiced rum – using imported sugarcane molasses. Then there’s SeaWolf – launched in November 2016 – the “first” white rum to be distilled on Scottish soil from the team behind renowned Edinburgh bar Bramble. Meanwhile, Scotland-based NB Gin made its debut in the rum category last year with the launch of a white rum, a white “fruity” rum and a “London Dry spiced” rum. Another new player to move into the Scottish rum category is Matugga Distillers, which last month opened a new site in Livingston – thought to be the first rum distillery in central Scotland. The company produces Matugga Golden Rum and Matugga Spiced Rum, which were originally produced in England before moving production to Scotland. Matugga has also unveiled a crowdfunding campaign to raise £30,000 (US$38,600) to support its “ambitious expansions plans”. While it hasn’t peaked the interests of any of the big players just yet, if other spirit sectors are anything to go by, it may only be a matter of time before the industry goliaths want in on the action.